Wales manager Ryan Giggs has said that Aaron Ramsey’s upcoming move to Italian giants Juventus will be a ‘great experience’ for the midfielder and expects him to emulate the success of Gareth Bale. 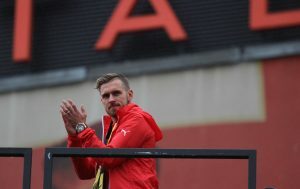 Ramsey’s contract is set to expire at the Emirates Stadium at the end of the season and has already agreed a four-year deal with the Old Lady. He will officially join the Turin in the summer and international boss Giggs has backed the experience to shape the rest of Ramsey’s career, and could even push him on to be as successful as Bale with Real Madrid. Talking to Sky Sports, he said: “You’ve seen what it [going abroad] has done for Gareth. It will be a great experience for Aaron and he is going to a great club, the biggest in Italy. Ramsey’s future employers meanwhile have been drawn to face Ajax in the quarter-finals of the UEFA Champions League. Max Allegri’s men are one of the favourites to win the whole competition and can be backed at odds of 10/3 with BetVictor.